MONDAY MORNING UPDATE: Catholic radio is coming to Boston in a big way. Alex Langer has filed an application to transfer WBIX (1060 Natick) to Buffalo-based Holy Family Communications. Holy Family, which operates stations in Buffalo and Rochester, will pay $1 million in cash for WBIX, and Langer will take a $500,000 tax deduction for donating the rest of the value of the station to Holy Family. More on this in next week's issue...and in our Twitter feed, as needed. 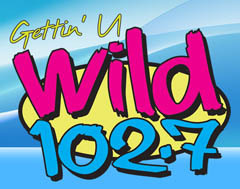 *If message-board chatter is any indication, then the big story over the long holiday weekend came out of southern NEW JERSEY, where Atlantic Broadcasting lobbed a pretty big bombshell into the Atlantic City market on July 2 with the launch of "Wild 102.7," a new high-energy rhythmic top-40 aimed straight at the summer beach crowd on the Jersey Shore. The new format came with a new signal, as Atlantic completed its move of the former WJSE (102.7 Petersburg) north from Cape May County into Atlantic City, with a new class A transmitter facility atop a beachfront high-rise building, a new city of license of Ocean City and new calls: WWAC, last seen on the old Channel 53 analog TV that's now WMCN-DT (Channel 44). "Wild" shares its DNA with Long Island's "Party 105" - both have JVC Broadcasting partners John Caracciolo and Vic Latino at the helm, and south Jersey is, if anything, even more ready for an energetic rhythmic format than the east end of Long Island. We'll be watching closely as "Wild" ramps up its promotional effort to take advantage of the all-too-short summer season at the shore. *The biggest news in PENNSYLVANIA - indeed, almost the only news from the Keystone State during our holiday hiatus - came from Scranton, where there's a new lineup at "Rock 107" WEZX (106.9). The new morning show brings Tommy Griffiths to town from Norfolk, Virginia's WNOR, teaming him with Mike Duffy and Shila Nathan. Longtime morning man Jay Daniels (who'd been doing the "Big and Fancy" morning show with Duffy and Prospector) moves to middays, where DC Day exits the station, while Prospector moves from the morning show to afternoons and Dave DiRienzo, recently upped from overnights to afternoons, moves to the evening shift. In Philadelphia, Charley Lake is the new interim PD at Greater Media's WBEN-FM (95.7), replacing John Cook. Lake adds the WBEN duties to his existing PD gig at sister station WMGK (102.9). New calls: mark down WZMV for 89.1 in Mohrsville, the new "Word FM" outlet north of Reading. *MASSACHUSETTS lost two TV news icons in as many weeks, one as familiar to viewers in the Boston market as the other was in Springfield. In Boston, John Henning never attained the star status of a Chet Curtis or a Jack Williams, but over four decades in TV news in the hub he quietly became a fixture in the industry. A native New Yorker, Henning came to Boston for college and stayed, becoming a reporter at WNAC-TV (Channel 7) in 1964. Henning soon ended up behind the anchor desk, and over a long career he moved seamlessly between the field and the studio. He moved from station to station, too, landing at WHDH-TV (Channel 5) in 1968, then moving with most of the WHDH staff to the new channel 5, WCVB, in 1972, where he had the distinction of anchoring the last WHDH-TV newscast and the first WCVB news the next morning. In 1979, he returned to channel 7 (by then WNEV), then finally moved to WBZ-TV (Channel 4) in 1982. At Channel 4, Henning worked as both a statehouse reporter and for many years as anchor of the midday news. He retired from WBZ in 2003, by then having become the station's senior correspondent. In recent years, until his health began to decline from myelodysplastic syndrome, Henning had been working with his former WBZ colleague Geri Denterlein at her public-affairs consulting firm. John Henning died Wednesday night, at 73, and Boston TV is poorer for his passing. *Out west, Keith Silver was one of the class acts of Springfield TV news. In nearly 40 years in the market, Silver rose from rookie radio reporter (at WSPR 1270, where he worked from 1956 until 1964) to TV reporter to anchor to news director at WWLP-TV (Channel 22), where he became a fixture during a career that lasted from 1964 until his retirement in 2005. Silver died July 2 in West Springfield, at age 80. *Logo alert: The last time Boston's WBZ (1030) got a new graphic look, your editor was still toiling there. But that was a long time ago now, and the logo introduced for the station's 75th anniversary in 1996 is now history, replaced by a new logo that closely matches that of sister station WBZ-TV. Listeners to Boston's WGBH-FM (89.7) and WKAF (97.7) may have some signal disruption this week. The tower the stations share on Great Blue Hill in Milton is being painted, and that may have WGBH running at reduced power or even off the air from time to time; WKAF may also reduce power or operate from an alternate site during the tower work. There's a station sale in the Pioneer Valley: WGAJ (91.7 Deerfield), the Deerfield Academy radio station that fell silent at the end of the 2008-09 school year, is being saved from deletion with a $10,000 sale to the WFCR Foundation. That's the nonprofit group that supports public stations WFCR (88.5 Amherst) and WNNZ (640 Westfield), and since WFCR's main 88.5 signal comes in just fine in Deerfield, it seems likely that once it's back on the air, 91.7 will end up with the same news-talk lineup heard on 640. *Radio People on the Move: Who says new broadcasting graduates can't find work in radio? Not Rachel Rose, who's headed from Emerson College and WERS (88.9 Boston) to Milwaukee AAA outlet WYMS (88.9), where she'll be music director and afternoon host. And we note the passing of Chris Charles, aka Chuck Christensen, aka "The Magic Christian", whose long and varied career included radio stops from coast to coast. In our area, his work included an afternoon shift at WVBF (105.7 Framingham) in the seventies and a stint at WMEX (1510); he also worked nights at WIBG (990 Philadelphia) circa 1977 - and before that, he'd crossed the border to work at CHUM and CFTR in Toronto as well. He was probably best known, though, for his work out west at stations such as KRUX in Phoenix and KCBQ in San Diego. More recently, he'd had been living in Iowa, where he succumbed to cancer on July 2 at age 66. *MAINE has a new Catholic radio station, and it's apparently just the start of a network that eventually hopes to serve much of the state. The Presence Radio Network signed on WXTP (106.7 North Windham) in the Portland market last Wednesday (July 7) after closing on the purchase of the former WHXR from Nassau. The network says it's negotiating for a station in the Bangor market as well. On the Protestant side, Word Radio Educational Fellowship is buying the as-yet-unbuilt CP for WRKJ (88.5 Westbrook) from Calvary Chapel of Portland for $5,000. Down in Nashua, the fight continues over the old WSMN (1590) property, where the old studio building has been rotting away in the weeds while developers have tried to build condos on the site. One developer abandoned the project a few years back, but now another one is before Nashua officials asking for approval of a plan that would tear down the old WSMN building, replacing it with a 40-unit condo complex. And there's apparently another silent religious station in the Granite State: in addition to WLMW (90.7 Manchester), which quietly vanished a few weeks back, we're told Brian Dodge's WWNH (1340 Madbury) has been off the air for a while now. 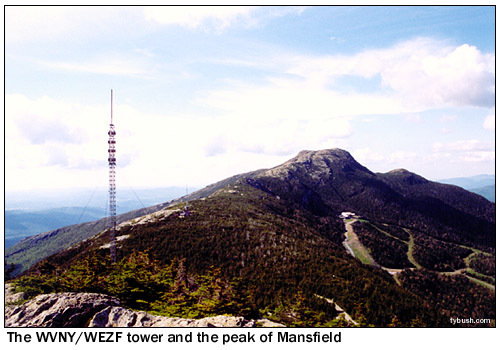 *The look of VERMONT's highest peak is a little different this month, now that crews from Northeast Tower, with the help of consulting engineer Dave Groth, have finished removing the tallest tower that once stood atop 4393-foot Mount Mansfield, seen above in a 2002 view. 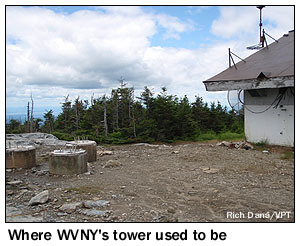 The old WVNY-TV (Channel 22) analog tower had been unused since WVNY went digital-only from one of the two new towers on the "nose" of the mountain and WEZF (92.9) moved to the master FM antenna on the other new tower. Speaking of WEZF, there's an afternoon-drive change underway there. Matt Brownell leaves "Star 92.9" next week for a new job at WVNY-TV/WFFF-TV. He'll be replaced in that shift (and as promotion director) by Rob Ryan, who's heard on the air calling UVM men's basketball and Lake Monsters baseball. *The head of RHODE ISLAND PBS (WSBE-TV) has died. Bob Fish had been president of the public station since 2006, but his history in New England broadcasting stretched back four decades. A Bryant College graduate, Fish was the president of the Rhode Island Broadcasters Association, and had worked in management at WPRO and at Boston's WRKO, where he was the general manager who oversaw the 1981 format change from top-40 to talk. In 1984, Fish became president of Federal Communications, which owned WHJJ/WHJY in Providence. After those stations were sold to Merv Griffin in 1989, Fish moved in and out of radio and TV for the next few years, at one point owning stations in Phoenix and for a time owning part of a car dealership in Rhode Island. Fish was 65. *Radio People on the Move in CONNECTICUT: former WTIC-FM (96.5 Hartford) jock Dana has a new job out west, where she starts tonight on the night shift at KZZO (100.5 Sacramento), CBS Radio's newest "Now FM" top-40 outlet. FM GEAR NEEDED -- Seeking two-bay low-power FM antennas (Jampro, PSI, Dielectric or others) at 101.1. Also looking for 1 kW FM transmitter, tube type OK. We pay shipping. Contact Allen, dba Alleo, alleo21@yahoo.com or 770-300-9287 (8 AM-9 PM). *The big story from a quiet couple of weeks in NEW YORK was country music - but not on the FM dial in New York City, where the format has long been a prominent void. No, the "New York City country radio war" of the moment is being played out in the streaming arena, where two new contenders are battling for attention. The hometown entry is "The Elephant," a new country webstream run by WOR (710), which has been an aggressive on-line player in the absence of any FM sister stations. 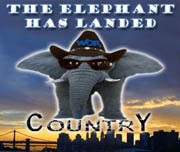 But no sooner had the Elephant started stomping around at WORCountry.com than it had acquired a cross-country (no pun intended) competitor. It seems that legendary Los Angeles broadcaster Saul Levine had been quietly negotiating to buy a New York FM station a few years back, and even though the deal didn't pan out, his interest in Big Apple radio remained - and is now bearing fruit as GoCountryNY.com, a New York-specific version of Levine's LA flagship, "Go Country 105.1" KKGO. The always-ambitious Levine says he plans to hire a New York sales and promotion staff and sponsor concerts on the East Coast. In the Hudson Valley, WWLE (1170 Cornwall) is reapplying to move down the dial to 1150. A previous application for the move was dismissed by the FCC back in 2006 due to concerns about overlap during the day with WMRD (1150 Middletown CT) and nighttime interference with WRUN (1150 Utica, now WUTI). WWLE says it's taken new measurements to prove no interference will occur. If granted, WWLE would add two more towers to its existing two-tower site, jumping day power from 800 to 2500 watts and adding 500 watts of night power. Out on Long Island, several contested noncommercial FM channels now have "tentative selectees," thanks to the FCC's application of its arcane points system to choose a winner among competing applicants. The FCC's recent resolution of several dozen contested frequencies yielded a big win for Hamptons Community Radio, which recently took over WPKM (88.7 Montauk) and is building out WEER (90.7 East Hampton). HCRC won out over seven other applicants for 89.3, which it will build in Westhampton. Another set of five competing applications for 91.7 was resolved in favor of Long Island ACORN's application in Riverhead; it's not clear yet whether the dissolution of the national ACORN organization will affect the outcome of that proceeding. 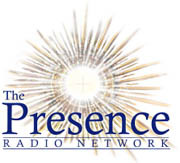 North of the city, six applicants jumped into the fray in Putnam County and nearby Danbury, Connecticut, and a group called "Mission Connecticut, Inc." ended up winning the points competition for 88.5 in Brewster against competing applicants that included New York's WNYC and Albany's WAMC. Rhode Island's Bryant College was one of five applicants for 90.7 on the Connecticut/Rhode Island line, and its application for 90.7 in Danielson, Connecticut was the FCC's winner. In the Hartford area, Legion of Christ College (another one of the many new Catholic broadcasters active in this round of noncommercial applications) won out over WNYC, WAMC and three other applicants for 90.9 in Wethersfield. In Massachusetts, Medford-based Catholic group Prayers for Life, Inc. won out over four other applicants for 89.3 in Shirley, northwest of Boston. In Utica, Ken Roser has reimaged his pair of AM stations to promote their new FM translator. WUTQ (1550 Utica) and WADR (1480 Remsen) are now calling themselves "B95.5" and being heard on W238CA (95.5 Middleville), which has a CP to run 250 watts from the Smith Hill tower farm in Utica. That should make for some interesting driving on the Thruway, as Utica's "B95.5" quickly gives way to Albany's WYJB - also "B95.5" - heading east from Utica. Radio People on the Move: Aaron Spielberg is out as PD of WEPN (1050 New York) after six years with the ESPN Radio outlet, the last two as programmer. In Rochester, Kasper is back on top-40 radio. The former WPXY jock is now across town at Clear Channel's WKGS (106.7), where he's doing nights. There's a new play-by-play voice for the Syracuse Crunch of the AHL: Jason Lockhart comes to Syracuse (and to WSKO 1260, the new radio home of the Crunch this fall) from the Bakersfield Condors of the incredibly-misnamed East Coast Hockey League. Lockhart replaces Joe Brown, who'd been with the team just one season. And in Amsterdam, Joe Alteri leaves the morning show at WIZR (930) after just three months on the air; Rick Morrison's now on wakeup duty there. And we're sorry to report the death of Peter Shamin, who was known as "Peter Shain" on the air during a career that found him on both sides of the mike, most notably as a weekend oldies jock on WNBC (660) in its final years. Behind the scenes, Peter worked for NBC Radio, WQCD (101.9), WOR (710) and Westwood One over more than 30 years in the business - and he always enjoyed sharing his stories, both in person and on several message boards that he frequented. He'd been in poor health lately, and he died far too young on July 7, at just 53. *In CANADA, the construction of a new tower in Owen Sound, Ontario wouldn't seem like a big deal - but we must have some pretty loyal NERW readers up that way, because several of them have sent along pictures of the new stick that will be soon home to Larche Communications' new CJOS (92.7) and Bayshore Broadcasting's CIXK (106.5) and CKYC (93.7), each moving from separate existing towers. Construction of the tower was almost done around Canada Day, and the stations should be on the air from the new site within weeks. There's a new PD at CTV/CHUM's CFLY (98.3) and CKLC (98.9) in Kingston, Ontario: Jen Yascheshyn moves up from promotions coordinator to take Dan Mellon's old office (and an airshift on CFLY), while FLY jock Shawn Whalen, who'd filled in for Yascheshyn during her maternity leave, takes her old gig as promotions coordinator, reports Milkman UnLimited. Durham Radio is looking to expand its reach - it's asking the CRTC for permission to buy CFWC (93.9 Brantford) from Anthony Schliefer for C$265,000. Durham is also requesting a license modification to replace CFWC's religious format with a "broad-based rock format" if the sale is approved. South of London, the CRTC has renewed the license of CHPD (105.9 Aylmer), but it's denied an application from the Mennonite community group that runs the low-power station for a license amendment that would allow the station to carry English-language programming. Instead, CHPD must continue to broadcast exclusively in German for the duration of its latest short-term license renewal, which runs through 2013. Up along the St. Lawrence, the CBC is requesting a frequency change for its new Brockville Radio One transmitter. CBOB is authorized to run 3 kW/100.5m non-directional on 106.5, but Canadian aviation officials determined that it would cause interference to a navigation transmitter across the border at Wheeler-Sack airport in northern New York. Instead, CBOB is requesting 2 kW DA/97.9m on a new frequency, 91.9. And we close with the obituary for one of Robertson's old bosses: Murray Chercover, who was on board as executive producer for the launch of CFTO (Channel 9) in Toronto in 1960, rose through the ranks at CFTO and CTV to become president of the network, serving in that role from 1967 until his retirement in 1990. Chercover died July 3 of complications from pneumonia; he was 80 years old. So long, WBCN! After more than 40 years as a rock station of one flavor or another, "The Rock of Boston" will cease to exist August 13, when CBS Radio will move hot AC "Mix" WBMX from 98.5 to 104.1, relaunching 98.5 as "The Sports Hub" with new calls WBZ-FM. The new sports station will bring some big guns to the fight with Entercom's established sports behemoth, WEEI (850) - it will have the Patriots play-by-play that's been the most successful part of WBCN's current programming, as well as the Toucher and Rich morning show that's now heard on WBCN. The new station will also be the new home of Bruins hockey, replacing longtime flagship WBZ (1030), whose contract ended this spring. The New York Times Company is exiting the radio business after 65 years with the sale of WQXR (96.3 New York). There are two buyers and a signal shuffle involved: Univision Radio is paying the Times $33.5 million for the 96.3 signal, and that's where it will move WCAA (105.9 Newark NJ). The 105.9 signal goes to the Times, which will then sell that license and the WQXR intellectual property to public broadcaster WNYC for $11.5 million, making the total sale price $45 million. WNYC will operate the new WQXR 105.9 as a noncommercial fulltime classical station, which will allow WNYC-FM (93.9 New York) to drop its remaining music programming and run news and information 24/7. The good news, of course, is that classical WQXR will survive under committed ownership; the bad news is that listeners in outlying areas, particularly on Long Island, will have a much harder time hearing 105.9 (a 600-watt class B1 signal from the Empire State Building, versus 6000 watts for the full class B signals on the same master antenna) than they now have with 96.3. Just as it was before the holidays, the spotlight for the last few weeks has continued to be on the relatively small number of DTV stations operating on the VHF spectrum - and especially the handful of big-market stations that made the controversial choice of a slot on one of the low-band channels, 2 through 6. In the northeast, that's just two full-power channel 6 signals: ABC's WPVI in Philadelphia and Freedom's WRGB in Schenectady. Both stations have already increased power in an attempt to make up for reception woes they've been experiencing, especially among viewers using indoor antennas that are generally poorly designed for low-band VHF signals. But those power increases - to as much as 30 kW average power, compared with the 10 kW maximum the FCC had initially imposed for low-band VHF digital in the crowded northeast - may come at a price for the noncommercial FM stations whose homes in the 88.1-91.9 MHz band have long been uncomfortable next-door neighbors to the channel 6 signals occupying 82-88 MHz. That discomfort grew stronger late last week when WRGB made good on its promises to return an analog audio signal to the air. Like all analog channel 6 stations, WRGB had an audience around the region for its audio signal, which was transmitted at 87.75 MHz. The CBS affiliate already raised some eyebrows prior to the June 12 digital cutover when it revealed that it was seeking experimental authorization to keep running the audio signal, with vertical polarization, alongside its horizontally-polarized digital signal. But when the analog audio returned, it had edged up the dial a bit: it's now at 87.9 MHz, and there are reports that WRGB has pared back the bandwidth occupied by its digital signal a bit - possibly as far down as the 5.5 MHz used by several digital LPTVs on channel 6, such as WNYZ-LP in New York - in order to alleviate co-channel interference between the digital datastream and the analog audio. We've yet to locate WRGB's experimental authorization in the FCC database, but we'll be watching this story closely to see what sort of precedent it sets. Will the FCC's rush to pacify agitated TV broadcasters (and the lawmakers who mandated the DTV conversion) create new interference to the already densely-packed noncommercial FM band? For that matter, is the continued provision of analog audio on channel 6 even legal under the terms of the law that mandated the digital transition? And in the end, will the bet made by stations such as WPVI and WRGB - that the lower power bills on channel 6 would outweigh potential reception issues - pay off, especially in a DTV world that seems to be moving toward the mobile services that are only practical on UHF channels? At least one VHF DTV operator is tacitly acknowledging that it placed its bets on the wrong band. In Boston, Sunbeam's WHDH-TV (Channel 7) is asking the FCC to modify the DTV table of allocations so that it can dump its VHF channel in favor of a permanent return to the transitional UHF channel, 42, that WHDH used for a decade before moving its digital signal to VHF in June. Even after being granted a power increase on channel 7, WHDH found the challenges of indoor reception - especially in areas relatively close to its tower site in Newton - to be insurmountable. Just days after the June 12 cutover, WHDH had asked the FCC for temporary permission to reactivate the channel 42 facility, and it's been running both 7 and 42 ever since. WHDH's situation is an unusually fortunate one: its transitional digital channel was within the new core (channels 2-51), and it remained both available and fully spaced after the transition, providing an easy solution to its VHF troubles, albeit a somewhat costly one - its channel 42 transmitter is relatively old, as DTV transmitters go, while its brand-new digital 7 transmitter will have to be removed and the antenna system atop its tower reconfigured, assuming the move back to 42 is granted. The turnover in Boston morning show continues - and this time it's at eastern MASSACHUSETTS' classic rock station, where morning host Steve Sweeney disappeared from "Steve Sweeney's neighborhood" a couple of weeks ago for what was initially billed as a vacation. Now it turns out that Sweeney's not coming back, and in the great circle that is radio, his shift is being filled (for the moment, at least) by Bill Abbate (whose own WBOS morning show was axed a few months back) and fellow WBOS veteran Hutch. Out in western Massachusetts, "Omelette" has vanished from the morning-show menu at WLZX (99.3 Northampton), where Leslie Hall is doing the show solo for now, while the station looks for a replacement. Back in the Boston market, Entercom is bringing Steve Jones down from Canada to handle PD chores at its adult hits "Mike" WMKK (93.7 Lawrence). Jones was VP/programming for the NewCap group of stations up there; at "Mike," he replaces Jerry McKenna, recently departed for Infinity's WBMX. In Erie, PENNSYLVANIA, Gannon University's WERG has completed its move from 89.9 to 90.5, taking the station from 3000 watts at 124 feet below average terrain (on the Gannon campus near downtown Erie) to 2750 watts at 374 feet above average terrain, on a new antenna mounted on the WQLN-TV tower south of Erie. Down the road in Greenville, new owner Harold Glunt has taken control of WEXC (107.1), flipping the station from oldies to Christian rock as "Freq 107." Sister station WGRP (940) is reportedly silent - and the "Wexy" oldies have reappeared on the dial at WLOA (1470 Farrell PA), which Glunt's Beacon Broadcasting is buying from Buffalo-based Holy Family Communications for $295,000, putting an end to the Catholic programming that had been airing there. The call changes in NEW YORK's Southern Tier have now been followed by some format flips at the Route 81 Radio cluster in Elmira-Corning: the oldies that had been on "Gem 97.7" follow the WGMM calls to what had been WCBA-FM (98.7 Corning), with "Gem 98.7" also being heard on WCBA (1350 Corning). WENY-FM (92.7 Elmira) is now simulcasting with what's now WCBA-FM (97.7 Big Flats), and they're doing AC as "Magic." And on the AM side, WCLI (1450 Corning) changes calls to WENI, to match its talk simulcast with WENY (1230 Elmira). The stations have now moved into their new storefront studios on Corning's Market Street, and we'll have to get down there to check it out one of these days. New Englanders already know the company from its clusters in Portland and Springfield, and now Ed Christian's Michigan-based Saga Communications is entering central NEW YORK. Saga will pay $13.4 million to pick up four Ithaca radio stations from Eagle Broadcasting: news-talk WHCU (870), satellite oldies WTKO (1470), AC WYXL (97.3), and country WQNY (103.7). A quick check of the most recent (Fall) Arbitrons shows Eagle's four stations with a total market share of 40.1% among listeners 12 and older; we'd expect to see this one flagged by the FCC for market-concentration review. (The only major in-market competition to the Eagle group comes from Citadel's WIII Cortland and from WVBR Ithaca, run by Cornell students as a commercial operation). The real fireworks, though, come with the sale of WIC's broadcast television arm, most of which will end up in the hands of CanWest Global, the group that's spent the last decade or so creating a nearly coast-to-coast collection of TV stations operating under the "Global" banner. The addition of the WIC stations in Alberta will close that chain (though it will still leave Global without a Newfoundland outlet), but that's not the really interesting part of this deal. That comes in the markets where CanWest and WIC both hold stations, and in the CRTC's decision to pull back from its usual "one-to-an-owner" stance. and "Quiet Storm" urban at night. But the station hasn't been meeting the minimum audience requirements for receiving federal money, so they're adding ATC in hopes of bringing more listeners over from WBUR and WGBH. WUMB simulcasts on WBPR 91.9 Worcester, and will soon add WFPB 91.9 Falmouth on Cape Cod. away from generic soft rock and towards the Shawn Colvin-heavy sound of WBOS 92.9. Perhaps 'LYT is setting itself up to grab audience if WBOS changes format? In any case, despite a weakish signal south and west of Boston, it's become quite a listenable station. for news, considering that WPNW is co-owned with WARA in Attleboro, Mass (just over the state line from Pawtucket), and WARA has its own newsroom. Also odd is that the spots seem to be mostly for Boston businesses (such as Clark Lincoln-Mercury west of Boston and the Offices at One Kendall Square, in Cambridge). Rhode Island now gets Bloomberg on 3 frequencies. In addition to WPNW, they get a strong signal from WBNW, and a pretty good signal day and night from WBBR 1130 New York. station in town except for two have now changed hands in the last 5 years -- WHDH-7 from local David Mugar to Sunbeam, WFXT from the Celts to Fox, WSBK-38 from Gillett to New World to Viacom, WLVI-56 from Gannett to Tribune, WMFP-62 from local Avi Nelson to Shop at Home, and WQTV-68 (now WABU) from the Christian Scientists to Boston University. ABC's John Hockenberry...who can't make it up to Brudnoy's apartment in his wheelchair. I hadn't seen David since October...and I can report to his fans that he looks great -- he's gained 30 pounds, is walking easily and without assistance, and he doesn't have that greenish cast to his skin that had us all worried.